Trichocereus peruvianus from Matucana is one of the most sought after types. 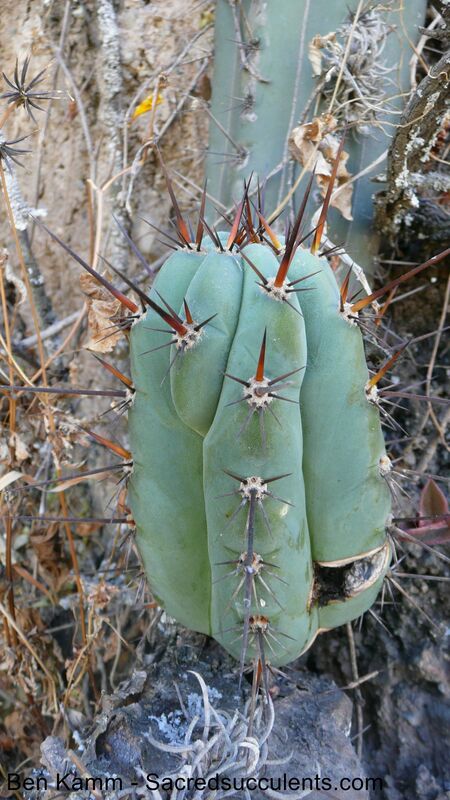 Matucana is the type locality of Trichocereus peruvianus, which means that in Matucana you can find the most typical plants according to the description. 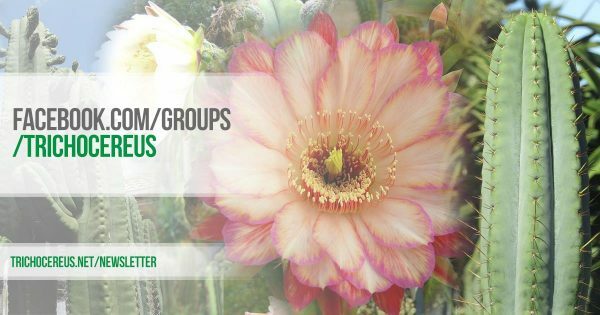 The description was originally made by the Americans Britton & Rose, and the described a plant that must have been somewhere between Trichocereus peruvianus and Trichocereus cuzcoensis. And yes, Trichocereus cuzcoensis plays a part in the history of Trichocereus peruvianus as well. Both are so closely related and exist with many intermediate forms in between that Britton & Rose´s decision to keep them separated from each other was not regarded without criticism. 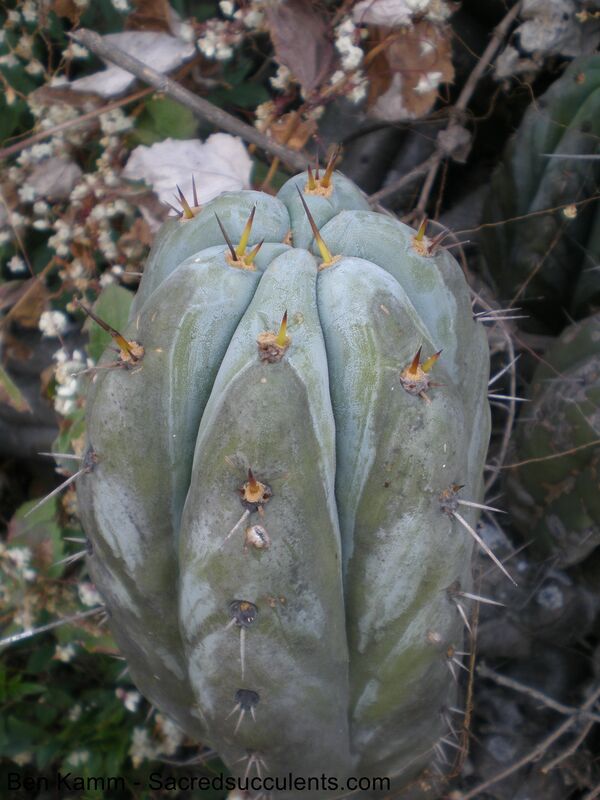 One of the most typical Matucana Peruvianus types is the ICARO DNA Peruvianus. Icaro Dna made a name for themselves providing great quality seeds that are probably as true as it gets to the original description. To me, when I hear the name MATUCANA, I think of this remarkable type. Some more Matucana Peruvianus types are the LOS GENTILES Peruvanus from Sacred Succulents and my own Matucana Peruvianus in my shop! Sorry for the promo, but it´s super high quality seeds that you will love! Trichocereus Peruvianus without a field number. Again in Matucana Peru. Very cool Glauceous Tricho, similar to the cultivar Trichocereus Rosei or Trichocereus Glaucus. Pic: Ben Kamm, Sacredsucculents.com! Please support them because they are awesome! Another frosted Peruvianus from the Location in Matucana. Very similar to the Plants that are labeled “Trichocereus Rosei”. Or Trichocerus Glaucus! Pic: Ben Kamm, Sacredsucculents.com! 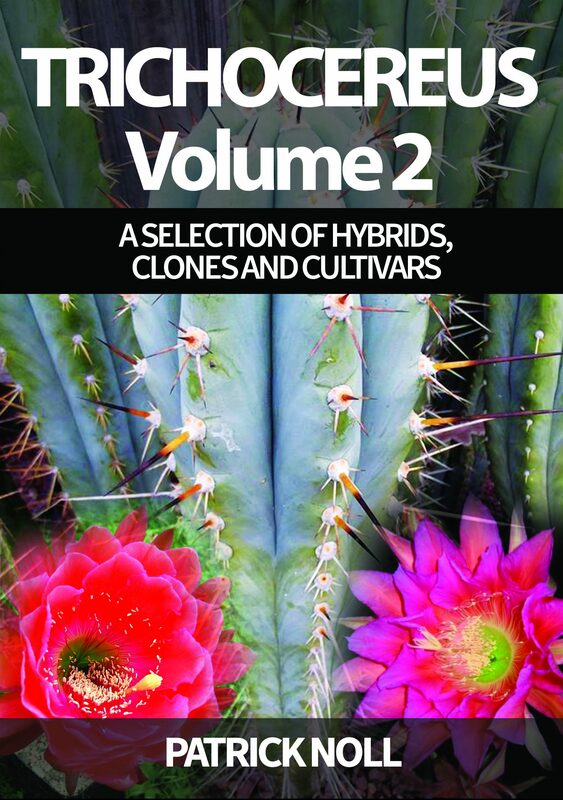 Another type that is believed to be a Matucana type is the Australian Trichocereus rosei clone. 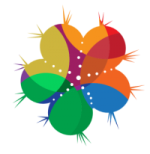 It´s fabulous and one of my absolute favorites. Rosei 2 is DEFINITELY a Matucana…and Rosei 1 most likely. The alternative would be that it comes from Rimac, but I want to show it here too! Some of those plants are sometimes called Trichocereus santaensis, but those are usually thinner and overall closer to Trichocereus pachanoi or sometimes even Trichocereus bridgesii than they are to Trichocereus peruvianus. Well, that was one of the more typical Trichocereus peruvianus from Matucana. 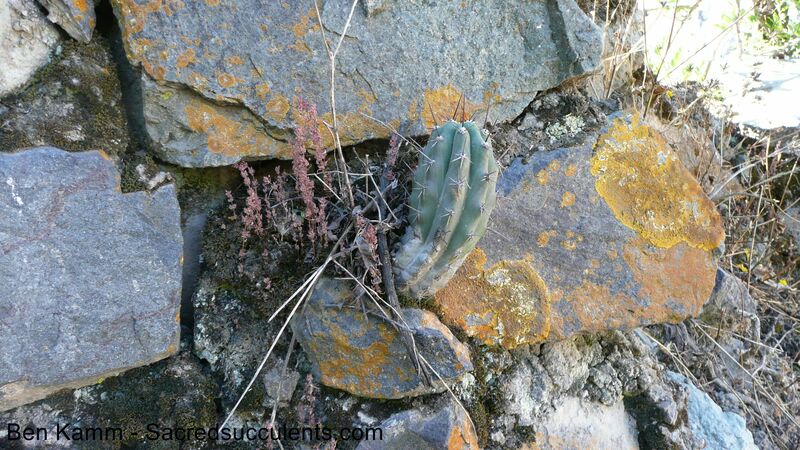 This city in Peru is one of the historic cactus sites, especially for the species Trichocereus peruvianus. Matucana is the type locality of Trichocereus peruvianus, which means that in Matucana you can find the most typical plants. 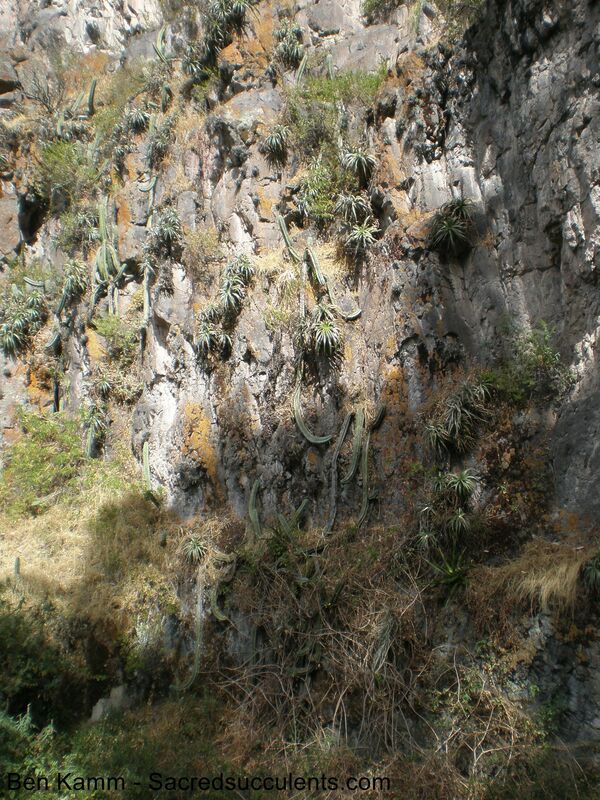 But there is more; many many plants with cuzcoensis genetics. For example, KK242 is from Matucana too! And due to the high number of intermediates between Trichocereus cuzcoensis and Trichocereus peruvianus, it´s sometimes not easy to draw a firm line between them. This photo shows a fairly typical KK242 from Matucana. The photo comes from K.Trout and his website troutsnotes.com. It´s funny…but that one was sold as KK242 from Matucana too. Just to give you an understanding of what is actually out there.